I recently stumbled upon the Sleek lip polish in Duke shade. My friend had it on and it looked nice. Plus, I’d seen it on my favorite make up blogs and made a mental note to get one for myself. I checked every makeup retailer online and couldn’t find it. I later found it on Konga, but as an Ijebu person, I couldn’t get past the 500 naira delivery cost. LOL. I’m so ashamed to admit that. Anyway, Konga had the lip polish for 1,500 naira, so total of 2,000 naira including delivery. So I continued my search. And voila! A friend then directed me to Shuby Cosmetics, a make-up store on campus that I didn’t even know existed! Shuby deals in everything! Okay, that is too general, but they sell authentic make up from brands like, MAC, Elizabeth Arden, Tara, MAKARI, BLACK UP, SLEEK and so on. The owner is also a sleek distributor, and I found that her prices are reasonable. Once I checked out the store I was hooked and didn’t want to leave! The Shuby store is small alright, but it is fully packed with everything a girl could ask for. I asked for the lip stain in duke shade, and there it was! It cost 1,800 naira, which is not bad considering the fact that I didn’t have to pay for shipping and then wait for my item to be delivered! Trust me, the makeup collector, to not be done with purchasing! After buying the lip stain, I asked for the Maybelline Falsies Mascara, which cost 1,500 naira which in my opinion is quite affordable. 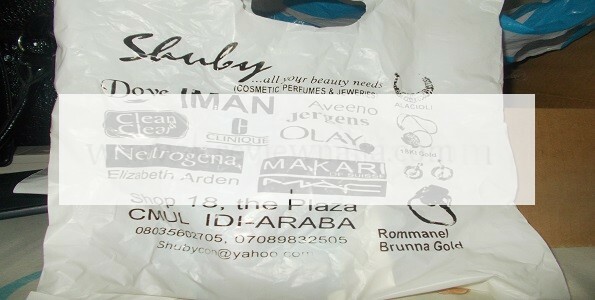 I was attended to by Mrs Sobola Bolajoko, the owner of Shuby, and she is really nice. I still don’t understand why I didn’t know that place existed. I am guessing poor publicity, and would recommend they get students involved as the store is located on campus, and I’d think we, the students, are the primary target! I’ll rate Shuby a 7 over 10. The store is quite small, and they were out of stock for some items I consider essential. Although their prices are reasonable, there are places one can get some of their items at a cheaper rates. Overall, I would definitely purchase more make up products from Shuby! Saves me the transportation and stress, and I don’t get to pay anything for delivery! Plus Shuby has a functioning POS, so I won’t have to pay with cash and watch my money go away LOL. Are you a make up artist ? hey jeezay, thank you very much for all the support, especially from your comments, I do hope you send us a review soon.